I’ve decided to open up a handful of dates in June and July! Book now before they’re GONE! Your session includes: unlimited locations and outfits AND you get ALL edited files with copyright release. Choose June or July and you get 40 FREE WALLETS! 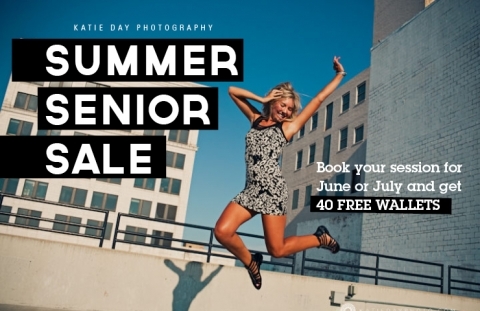 Session is $450 and typically lasts between 1-2 hours. Weeks available include: June 10-30 and July 14-31. But slots are going fast so email me katiedayphoto (at) gmail (dot) com to grab your specific date!